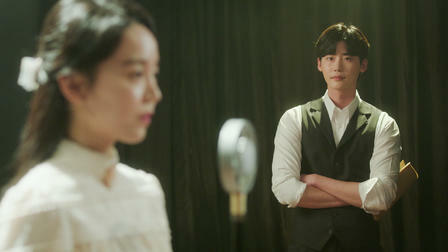 Loosely based on a real life story of two artistically inclined, young Korean people living in Japan and Korea during the tumultuous 1920's colonial period, when the Japanese were dictators over the Koreans, Hymn Of Death (2018) stars popular leading man Lee Jong Suk (I Hear Your Voice, Pinocchio, While You Were Sleeping) and lovely, delicate actress Shin Hye Sun (Legend Of The Blue Sea, She Was Pretty, Stranger), and both actors give excellent performances, especially Shin Hye Sun, playing singer Yun Sim Deok, who apparently was the first Korean singer to record a popular song on a phonograph record in the 1920's. (Historical Spoiler) Both these young people fell in love and committed suicide together by drowning in 1926. The very first scenes we see involve a ferry crew member who realizes what happened when he sees a man's and lady's shoes lying together by the ship's guard rail, the haunting old song Anniversary Waltz, which apparently was her favorite song, softly playing on a phonograph in the background, the music drifting from their cabin. The shocking news caused a sensation in Korea, and Yun's 1926 recording of "In Praise of Death" (Hangul: 사의 찬미; also called "Death Song") sold a record 100,000 copies following her death. Two Korean films have previously been made based on her life, one in 1969, and another in 1991. 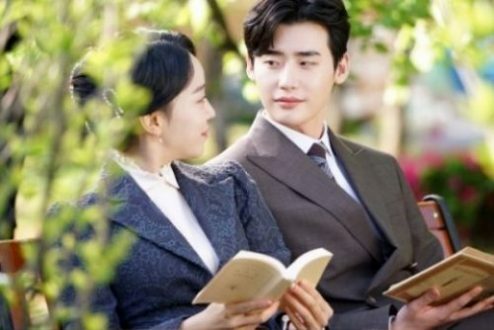 Kim Woo Jin (Lee Jong Suk) is a college aged stage drama writer and director while Korea is under Japanese occupation in the 1920's. His usually domineering father Kim Sung Gyu (Kim Myung Soo, The Last Empress) for once is lenient with him, and although he desires to see his son take over the family's real estate business after college graduation, he allows him to temporarily follow his dream of majoring in English literature instead of business and to follow his dream of writing and directing plays. The tacit understanding between them is that when he is finished with college he will give up these "foolhardy pastimes" and put his nose to the grindstone in the family business. 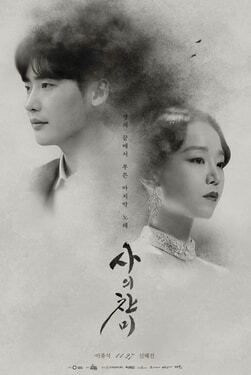 As a group of his fellow students prepare a play, a suggestion is made that they add some music interludes to the show, and the vocal student Yun Sim Deok (Shin Hye Sun) is invited to audition by singing for a special role. 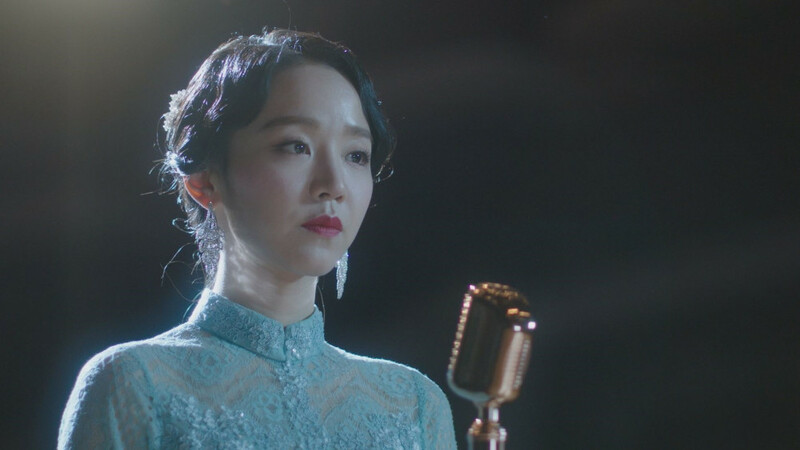 Everyone is bowled over by her beautiful singing except, it seems, Kim Woo Jin the director. He does not praise her afterward and she becomes annoyed with him, eventually confronting him on his silent treatment of her. Their relationship quickly softens, however, when she goes to see him after she hears he's fallen ill, and expresses her concern for his welfare. He tells her that he isn't really sick, that every year on the anniversary of his mother's death he likes to take a few days of isolation from the world simply to remember her. He also finally admits that he thinks her singing voice is very beautiful. Now she becomes smitten with him. Their feelings for each other deepen even more, but suddenly Kim Woo Jin appears to become cold again, for no reason. He invites the drama troupe to his father's home and this is when Sim Deok is told that Woo Jin's father is one of the richest landowners in Korea, and it's further revealed to her, in an abrupt and hurtful way, that he is married. Sim Deok disappears, leaving behind a fancy hat that she had bought and worn just because Woo Jin had told her he thought it was pretty. For years he keeps this hat in a drawer in his office. They graduate and go their separate ways. Sim Deok starts to become well known as a singer and signs a record contract with a Japanese firm. Woo Jin becomes very successful running his father's business. However both Woo Jin and Sim Deok have never forgotten one another, not for one minute. When she appears in a grand concert hall to sing at a highly promoted concert, Woo Jin quietly shows up and watches her perform. She sees him, runs after him, they talk together for the first time in years, and eventually start to meet secretly, disregarding family and career and only caring for one another. Their families realize something is up, of course, and try to pressure them to get back on the straight and narrow, but it seems it's too late for all that. Woo Jin has a huge confrontation with his father and leaves the house, and Sim Deok agrees to travel to Busan to sing, leaving her greedy family behind. However Woo Jin secretly leaves with her, and they both decide to commit suicide rather than live oppressed lives under family and Japanese tyranny. I really enjoyed the story, it wasn't too sugar-coated but showed this famous couple's flaws and failures realistically. 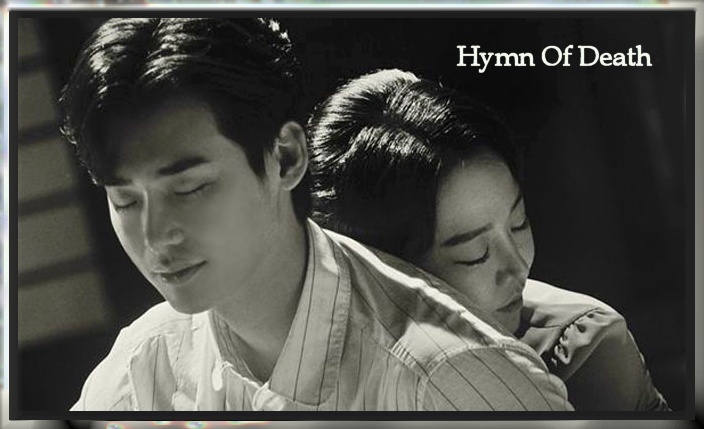 Also loved the music OST and the operatic singing of the leading lady character. Production values were excellent, including set design and costumes. Lots of supporting cast members will be recognized by the long term K-drama fan. While watching this drama I was constantly saying, "Oh, look who is in this!" and "I know him (her) from .... " :) If you enjoy meaningful glances into history then don't miss Hymn Of Death.